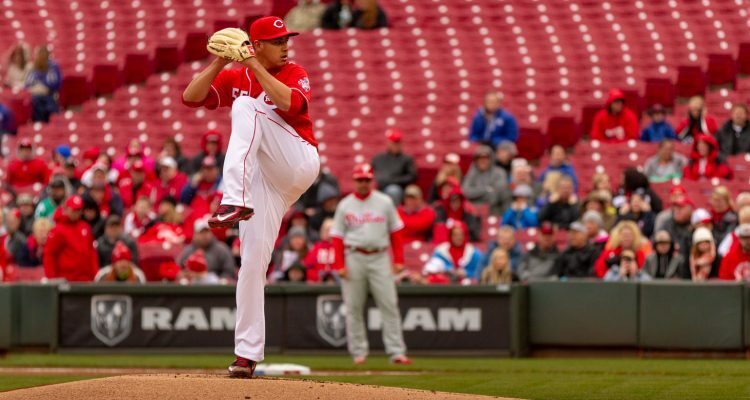 During the 2018/2019 off season, the Reds revamped 60% of the starting pitching rotation and 60% of the outfield. Both those units represented significant deficiencies on the 2018 team. 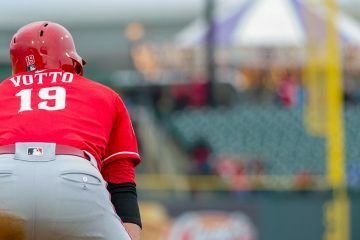 Which Cincinnati Reds prospects will be assigned to the Reds farm resulting from pushback of the off season acquisitions? David Bell announced four of the five starting rotation slots. The fifth starter, Alex Wood, begins the season on the Injured List (IL). Bell previously announced his intention to carry a 13-man pitching staff. The bullpen provides two openings with a temporary 4-man starting rotation. Due to a temporary 12-man pitching staff until the Reds activate Wood, the outfield provides one opening. The infield provides two utility positions. After a delayed spring training start, Curt Casali appears healthy, locking down the catcher position. Luis Castillo, Tanner Roark, Sonny Gray and Anthony DeSclafani. Raisel Iglesias, Jared Hughes, David Hernandez, Michael Lorenzen, Amir Garrett and Zach Duke. Joey Votto, Scooter Gennett, Eugenio Suarez and Jose Peraza. Jesse Winker, Scott Schebler, Yasiel Puig and Matt Kemp. Robert Stephenson, Matt Wisler, Amir Garrett and Curt Casali are out of minor league options. Reds must utilize a Designated for Assignment (DFA) for any of the four players not added to the 25-man roster or the major league IL. The DFA makes them available to the rest of the major league baseball teams via a waiver claim. The Reds signed Jose Iglesias and Derek Dietrich to minor league contracts during the 2018/2019 off season. Both players almost certainly have opt-out clauses in their minor league contracts due to their established capability at the major league level. As a result, the Reds risk losing either or both players if they are not promoted to the 40-man and 25-man rosters. Conner Joe was acquired during the 2018/2019 off season via the rule 5 draft. Although Joe has minor league options available, he must be maintained on the 25-man roster all season or DFA and offered back to the LA Dodgers for $50,000 if Joe is not claimed by any other team. From this point, I offer my thoughts on what should happen, rather than what I think will happen when the Reds make the actual roster decisions for opening day. We’ll discuss the actual moves when the Reds announce the minor league assignments and rosters after next week. Some players earn a position and some players inherit a position on the 25-man roster. Those players inheriting a position by default receive one final opportunity to earn that position. A productive future contribution after the 2019 season serves as the benefit for the Reds to provide that one final opportunity. Robert Stephenson possesses a right arm too talented to give away unless no other option exists. He pitched just one inning in a ‘B’ game and one inning in an ‘A’ game this spring. As a result, Stephenson fills a bullpen opening. After Stephenson stretches out his stamina, he receives first consideration as a replacement starter in the major league rotation. Stephenson succeeds as a starter, succeeds as a reliever or finds himself playing for another organization. Matt Wisler performed well during spring training and also produced good results in limited work after being acquired by the Reds in 2018. With no options remaining, Matt Wisler works on a short leash as the 8th reliever in the bullpen, pitching in a low-leverage, middle-relief role. If Wisler fails to perform early, he risks a DFA. Dietrich can hit at the MLB level and provides good defensive flexibility. Unfortunately, he fields every position poorly. As a high-leverage, left-handed pinch hitter, Dietrich provides a valuable bat off the bench for David Bell. Iglesias picks it at shortstop, the most important defensive position between the white lines, with the best major league defenders. As a gifted defensive shortstop, Iglesias fills a big defensive hole on the Reds roster as a utility infielder with good flexibility. His marginal offense becomes a non-issue with an otherwise solid offensive bench. Phillip Ervin picked the right time to dispay his dangerous offensive skills to the new coaching staff. His 1.300 OPS, against predominately AAA level pitching this spring, combined with his defensive flexibility to play every outfield position earns Ervin a 25-man roster spot as a utility outfielder and high-leverage, right-handed pinch hitter. Which Cincinnati Reds prospects fall victim to pushback? When an organization adds external talent at the major league level, prior prospects suffer from the inevitable pushback. Conner Joe provides a unique opportunity, but the Reds simply don’t have room to carry him on the 25-man roster. Joe provides the flexibility to play both corner infield and outfield positions. Joe appears capable of hitting major league pitching. Irrespective of his 49-game, 188-plate appearance (PA), Pacific Coast League buffered hitting surge in 2018, Joe has a .255/.364/.428 slash in 151 games and 590 PA at the AA level across three separate leagues. Joe also provides defensive versatility as an emergency catcher, freeing up Barnhart or Casali as an additional pinch hitter. That might represent enough value to arrange a possible trade with the LA Dodgers if the Reds must DFA him. It certainly fails to provide sufficient value to carry Joe on the 25-man roster. Mahle represents a prime candidate for the major league starting rotation in 2020. With an option available, an extended audition as a major league starter with marginal success in 2018 and success as a starter in the upper minors, Mahle needs to start at AAA rather than work out of the major league bullpen. If Stephenson proves unavailable or ineffective, Mahle receives the first opportunity to fill an available starting role in the major league rotation. Cody Reed can pitch at the major league level out of the bullpen. That capability proves to be legitimately irrefutable. The question relates to his potential as a major league starting pitcher. With left-handed relievers Duke and Garrett in the major league bullpen and an option available, a starting pitcher role at AAA represents Reed’s best utilization. If Reed excels as a starter at AAA this season, he earns the next available opportunity as a starting pitcher on the 25-man roster after Stephenson and Mahle. That represents a huge benefit going into the 2020 season. Sal Romano pitched effectively as a reliever in limited opportunities at the major league level. He pitched ineffectively as a starter in extended opportunities at the major league level. The Reds are potentially losing Hughes and Hernandez from the bullpen after the 2019 season. Romano’s experience slips right into a high-leverage, multi-inning relief role for next season. Romano retains an available option, allowing Romano to refine his relief role at AAA this season. Nick Senzel’s talent plays at the major league level right now. His centerfield defense improves with every game. Unfortunately for Senzel, the outfield and infield are filled with major league talent and experience. The Reds must promote Senzel to both the 40-man roster and 25-man roster and both rosters are full. His time will come, but not on opening day 2019. Alex Blandino plowed through four minor league levels in two years, ending at AA Pensacola in 2015. He played the entire 2016 season at AA Pensacola with disappointing results. Blandino exploded during the 2017 season with an .834 OPS in 63 games at AA Pensacola and an .836 OPS in 62 games at AAA Louisville. Blandino provides excellent flexibility across the infield, including shortstop. Unfortunately, he provides just marginal defense. He begins the 2019 season injured, but plays at AAA unless an opportunity arises at the major league level. So what does everyone think the minor league pushback should look like? Most everything you laid out makes perfect sense to me. I would actually think that Farmer is worth a mention here, as he’s played well and has a good amount of flexibility. He’s even lined up at SS this spring, so he could be an emergency option there. Personally, he makes a little more sense than Joe at this point as he’s more than just an emergency backup at C. I hope that the Reds can work out a minor trade for Joe and keep him around. The reason I mentioned Farmer though, is he may provide more immediate value to to the Reds. With Casali having a shortened spring, it would be nice to have another option behind the plate. Plus, Ervin’s fate seems sealed once Senzel is deemed ready or once they need a fifth starter. We completely agree regarding Joe and Farmer. I’ve gained some appreciation for Farmer since the trade. The choice between the two would be difficult. The Reds have control of Farmer and I hope they can swing a deal for Joe. They provide options for the bench going forward. I’m really looking forward to watching the Senzel situation play out. there’s potentially a lot of moving parts involved and we are still unfamiliar with DB’s managerial style and tendencies. Stephenson is beginning to become a problem, If he had options there would be less of a problem. Could end up being a useless drain on the bullpen. Jose I, and Derek D will need 40 man roster spots somehow, if they are to make the team. Conner Joe is returning to the Dodgers, would provide one of the slots. Senzel will eventually require one as well. It will be interesting to see. Unless there is a 60 Day IL waiting there will be some roster moves of some sort soon. Finnegan is DFA, if not outright released, when roster decisions are made. The 3rd 40-man roster spot for Senzel will be tougher, but also won’t be needed until the middle of April at the earliest. A lot can happen over the next month. I like this roster! I, too, am hesitant about giving up on Stephenson and to some extent Wisler, and making the opening day roster gives them one more shot to prove their worth. Ervin deserves a roster spot, but there might not be one available for him with the plethora of outfielders. He might be one of the first 2 players left off. If I had to choose today, though, my lineup would look a bit different. Starting OF: Winker, Senzel, Puig. Bench: Schebler, Ervin, Kemp, Iglesias, Casali. It’s basically swapping Senzel for Dietrich. That seems like a lot of OF, but Senzel can provide the same positional versatility that Dietrich offers, and Schebler (or Winker depending on the day) can be a strong lefty bat off the bench. Senzel is both a starter and a utility guy at the same time. When Suarez or Gennett need a spell, Senzel can fill in, and Ervin or Schebler can play center. The Reds could use him similarly to how the Cubs used Bryant in 2016: most of his playing time at his primary position (right now CF) but also spreading him around to a couple other spots (2B/3B) when they need to. I don’t agree with you on Senzel. I can see him being sent back to Louisville for 2 weeks to get the extra year of control, but if he is your CF, then moving him all around the diamond in a utility roll makes no sense to me at all, unless an absolute emergency, Send him down for 2 weeks and play CF and bring him up for CF. . .not CF/3B/2B/SS. Bob, why does it not make sense? Plenty of young players have moved around the diamond a bit when they first break through. And Senzel is plenty good enough defensively. Andy, I think you outlined a solid plan for Senzel. There are several ways he can help the Reds. Good job. I don’t think I can argue against one of these proposals. I think one thing is safe to say though, the 25 man roster is going to look a bit different on April 30 than it will on Opening Day. Alex Wood should return by then. Senzel will be up by then. One or two bullpens spots could turn over by then. As you mentioned, Iglesias and/or Dietrich could have opt out options. They both have had good springs, especially Iglesias, and he got a late start. If there is a major injury to an established SS on another team in April, I can see the Reds entertaining the idea of trading Iglesias and bringing up Farmer. I agree with H4V, that Kyle Farmer probably warranted a mention. He has had a very good spring. His versatility is good and his defense doesn’t drop off much from one position to another. He can play 7 of the 8 positions on the field. It would be foolish to lose Stephenson for nothing. Stephenson is more important for 2020 than he is for 2019. I don’t think either Wood or Roark will join Sonny Gray in the 2020 rotation. That will leave 2 spots next winter for Stephenson, Reed, Mahle, Santillan, and Sims to fight for. DeSclafani will have to survive 2019 and surely isn’t a lock for the 2020 rotation either. He will have just 1 year left next winter and the Reds could possibly look to deal him. The Reds have a crowded OF, a crowded INF, and a crowded bench. Might we see a trade before Opening Day to alleviate a little of that crowding? Or maybe early on sometime in April? Peralta, and a few of the other relievers that were brought on with minor league deals are pitching well so far this spring. Is there any room for one of them? I agree on Stephenson WV. His stuff is too good to not keep. New Pitching minds in town, I am sure they will see that. As good of a pitching guru as Bryan Price was supposed to be, we have not grown up any of our own except Mahle. I know a lot of that is on the past GM’s as well. I really like that Johnson has control over pitching throughout the system. We will really see a lot about him with these decisions on this 2019 Roster. A tale of two lineups today for the 2 games. Game #1 looks like a starting lineup for Opening Day and has Kemp, Senzel and Puig in the OF. Game #2 looks like bench players and those vying for bench spots, and has Winker, Schebler, and Ervin in the OF. Hmmmm. Opposing Starting pitchers handedness in each game? Maybe looking at that, For example Game 1- looks like a LHP out field, game 2 looks like a RHP out field. I don’t see how lineup #1 can be the opening day lineup with an individual on it not on the 40 man roster yet. Really? He was only hitting 93-94 when I saw him last year. He’s nothing special. Baseball is hard and he can’t hack it. Next. Period. Yeah. Unfortunately, Stephenson has had a sore shoulder this Spring (but Spring Training numbers don’t matter, do they? ), and really hasn’t been able to “win” a spot on the roster. I would make a guess that if the Reds outrighted him to AAA, that it is likely no one would claim him. But I could be wrong. I would not put him on the 25 man roster just because he is out of options. His arm may actually be shot, but I hope not. That would be too bad for him. If Stephenson is subjected to waivers, he will be claimed in a heartbeat. There are plenty of teams willing to take a flyer on him at the expense a roster spot. It’s a low risk flyer at the least. There is an off chance that Stephenson moves to the IL to begin the season to build up his endurance, but working him regularly while building his innings out of the bullpen serves the same purpose. I have no problem with the 25 man roster you are proposing. I think it is probably the best. I do want to see Senzel as soon as possible and in that feel bad for Ervin, he definitely deserves a shot. I also feel a little for Mahle and Reed in your scenario, but they have had the opportunity and not seized it and they still have options so they get shipped to Louisville. Injuries happen and they will get their opportunity. I think that Conner Joe will land somewhere and it is a very good sign to me that we do not have room for him. I think Senzel goes down for at least a couple of weeks. Dietrich is on the roster, as is Ervin. 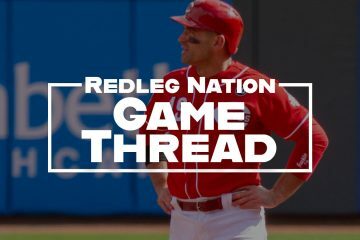 When the Reds decide to move Senzel up (May 1? ), somebody goes. I would frankly really like to see the Reds trade Matt Kemp. I have no idea if Farmer or Casali should be on the roster, but I did see Casali really smoke the ball last year when he got a chance to play. I don’t know who is technically the better catcher. That would have a big impact on my decision about who to keep. Last peanut gallery comment, is that I don’t think the Reds should carry 13 pitchers. I think they should carry 12. That is really creating some roster problems and tying the hands of David Bell. His ace in the hole is then Mike Lorenzen, who can hit and play outfield. And pitch – start or relieve. I think Hal McCoy is spot on. Here is how I see it. Starters: RF Yasiel Puig, CF Scott Schebler, LF Matt Kemp. I wouldn’t poo-poo platooning Kemp and Jesse Winker in left, but Winker needs to pick it up this spring. (I agree) I’d keep Phillip Ervin as the extra outfielder and give him as much playing time as possible. The odd man out is Nick Senzel, who should be returned to Triple-A to play second base to take Scooter Gennett’s place next year. It seems obvious the Reds are not going to sign The Scooter to a multi-year extension and he’ll leave via free agency after this season if he is not traded. not a horrible Idea. I really do want Senzel up after the 2 week period. obviously anyone on the bubble now would be the ‘next man up’ scenario should they be sent down. Senzel being sent down would also solve the 40 man roster crunch no one wants to talk about. I am hoping to see some resolution to tat as well. The old cautionary is “don’t put too much stock on spring training numbers.” Winker is not having a good spring but neither is Joey Votto. Votto is notoriously for having “bad” springs, at leas as far as the stats go. Granted Votto has a much longer track record than Winker but Winker’s track record is that he has hit well at every level. I feel pretty positive that he will pick it up either before the season or once the season gets started. And Winker is coming off shoulder surgery. It takes away greatly from the work put in on this piece, to write such an absolute statement…that is far from backed up by statistics. I don’t think there is enough data hear to even draw a conclusion on Reed’s effectiveness as a reliever….what is there would hardly be called “irrefutable” in a positive way, IMO. Sliotar, you make a reasonable point about the amount of data, but I disagree about what the data tells us. The 23-year old Reed’s development was so pitifully managed under the WJ and BP organization, along with virtually every pitching prospect. I’m discounting every performance prior to the 2018 season. Those are meh numbers as a starter, but quite good as a reliever, certainly good enough for success as a reliever. How much success would certainly require more data. The comments this spring by DB & DJ indicate they also feel he is a good candidate for the bullpen on opening day. My point was that I didn’t want to give up on Reed as a potential starter with an option remaining and a new organization and pitching development staff in place to maximize their contributions. Your second sentence is spot on regarding Reed and others and I do believe the organization knows it because ALL are still here meaning none have been traded or released.Money is on Bob Steve being in the pen on opening day for that very reason. You lay out a viable way forward…I would keep Stephenson in a relief role if he makes the opening day roster. I would not start him until he’s shown consistency in the bullpen. Last thing he needs is to bounce between roles as a player without an option. That is a completely viable plan for Stephenson and how I envisioned the process. I would want to see consistent results across several outings and extended innings with success before considering a move to the starting rotation. Just let this staff work with him and give him a legitimate final shot before giving up on him. horrendous news, Paul Goldschmidt is on the border of signing a 5 year extension with the Cardinals. This like all is not unsurmountable but not a nice sign. I think Farmer will have to go down, due to the fact that he has an option. There is no reason to release or trade Curt. He is a solid backup. Blandino could go to the 60 day IL to free up a spot on the 40 man. He is not ready to begin the year, and some more time to recover fully while honing his craft in Arizona would only be risking the chance that between the time he becomes ready and the time the 60 days is up he is needed due to injury on the big club. Not much of a risk. The only way I see Winker being sent down is if the coaching staff sees his shoulder or swing needing more post-surgery time to get fully right. They (hopefully) are putting zero stock in the spring stats in and of themselves, and given this new era, hopefully never will do so again. I expect that the cash is probably what’s required to cover the cost to acquire Joe. The 25-year-old right-hander, Jordan Johnson, had little success since leaving Rookie Ball. He looks like minor league roster fill to me, but something might click with the right coaching and development. If DB stays consistent with his commentary all camp about Winker, Jesse will be in Cincinnati on Opening Day (barring injury).